« HD CCTV can save you money and that’s a fact! 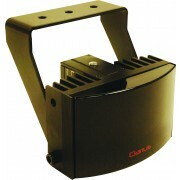 Clarius illuminators have started to get tongues wagging in the world of security and lighting. The Clarius product range has found a niche in the professional illuminator market place due to its design and build quality as well as a keen price in comparison to its big rival Raytec. With this in mind GJD a world renowned distributor of lighting and security products have bought into Clarius led lighting with the intention of taking the products forward to challenge Raytec as the market leader. As most security installers now acknowledge led lighting technology has many benefits over traditional lighting solutions such as sodium or Halogen. Lighting of course has always been important but good lighting saves hard drive space during night time recordings and dramatically improves picture quality. Sales are expected to increase exponentially in the coming years and for good reason. Clarius infra-red LED illuminators are designed to provide class leading performance, long life and ultra-low maintenance. Incorporating the latest surface mount LED’s with enhanced optical output and outstanding reliability, they deliver excellent night-time images. Each unit is fitted with integrated control circuitry to carefully control LED output, delivering consistent illumination and projected working life in excess of 10 years. Installation is quick and easy, requiring only a 12-32V DC /24V AC input. New installations and replacement of old tired looking lighting is becoming a practice that will continue going forward and Clarius/GJD are very well placed to benefit from this change in lighting preferences. POE has added to the benefits we can list and this enables installations to be completed by people from a non-electrical background. IDIS direct IP. The new way to deliver HD CCTV. This entry was posted on Tuesday, January 14th, 2014 at 19:50	and is filed under CCTV lighting. You can follow any responses to this entry through the RSS 2.0 feed. Both comments and pings are currently closed.